We are entering our third Shabbat today after a wildly fun and exciting week in Bogrim! On Monday, we performed our play, “Willy Wonka and the Chocolate Factory,” for the whole camp. Magshimim opened the show, and Bogrim took over with the scenes in the chocolate factory. We sang beautiful songs, and both the banim (boys) and banot (girls) performed entertaining dances. For Tuesday night’s peulat erev (evening activity), we celebrated the spirit of Bogrim with a Two-by-Tuesday event. Every chanich (camper) was paired with another chanich to dress up as a famous duo. We had a costume contest, fun games, and music! 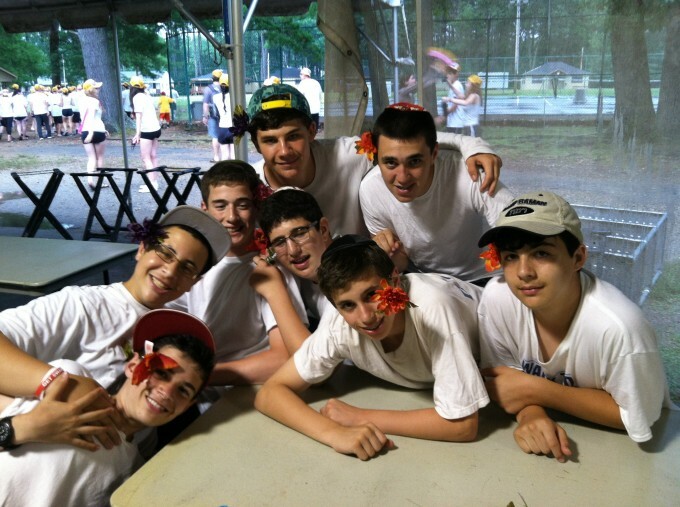 On Wednesday, Bogrim performed the classic Camp Ramah dance, “Perach Sheli” at the Zimkudiyah (song and dance festival). Our banim (boys) cleaned up well with flowers tucked behind their ears (see photo below)! And finally on Thursday night, our edah enjoyed a peulat mishlachat (activity run by our Israeli staff), where they learned about holidays in Israel, army service, school, and Israeli culture around the medura (campfire). You can view photos of all of these events soon in the gallery!